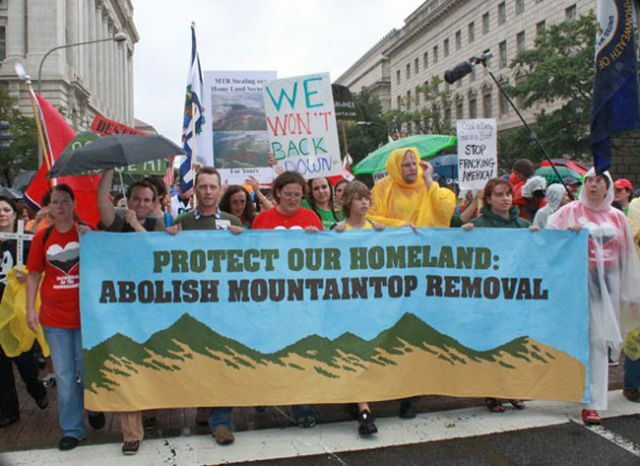 I wrote yesterday about the Appalachia Rising events taking place in Washington, DC this week to call for federal action to stop mountaintop-removal coal mining. 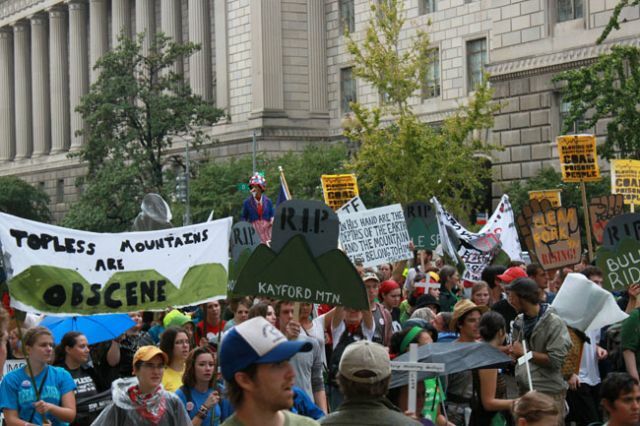 On Monday, approximately 2,000 Appalachians and supporters marched from the Environmental Protection Agency to the White House, demanding an end to the practice. 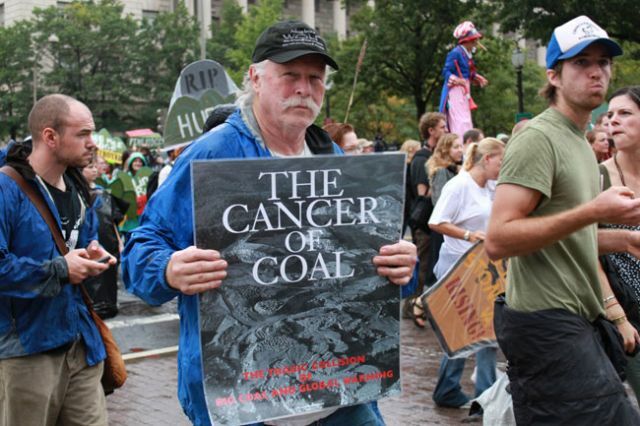 The group also stopped at a branch of PNC Bank, which has come under fire for providing loans to the coal companies that engage in this destructive type of mining. 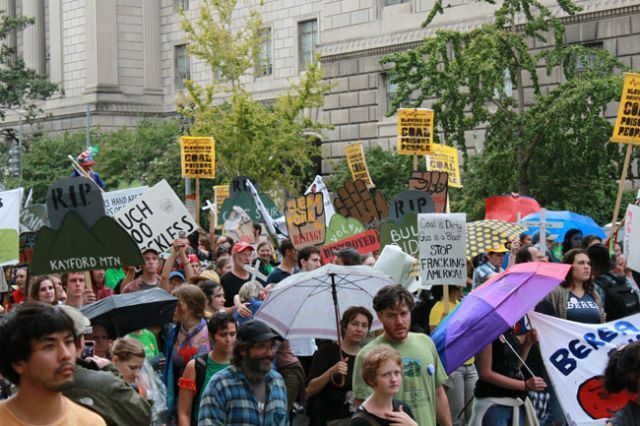 More than 100 activists were later arrested at the White House for occupying the sidewalk outside in an act of civil disobedience.